Brand management for my brother’s business: a pool building company and full-service wholesale distributor of industrial and institutional supplies. Located in Natchez, Mississippi, the Blankensteins needed a design that captured their over 100 years of name recognition in the Miss/Lou area. 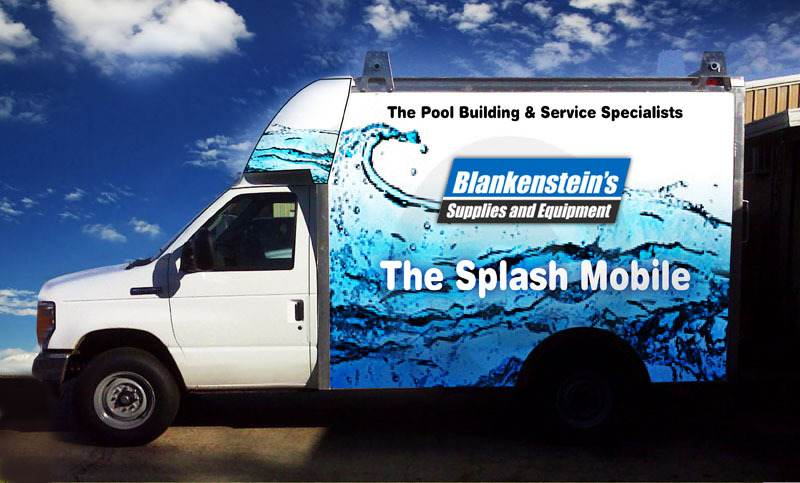 The project included letterhead, print ads, and a new look for “The Splash Mobile”. If you have a pool problem, just call for The Splash Mobile. We'll send Splashman and Bobin right over!